I absolutely love Anna's work! 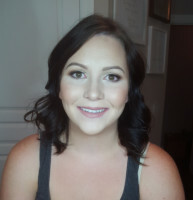 She did my makeup for a photoshoot that I had in early September and made me look bronzed and beautiful!! In the future if I have an event that requires my makeup being professionally done I will definitely go to her!! Beautiful girl and amazing talent! I am forever grateful that I had Anna by my side to help me get ready the morning of the best day of my life! She is SO talented, so kind and I wish her nothing but the best in her future endeavors. 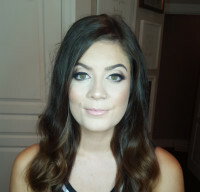 Looking forward to having her do my makeup again and again! 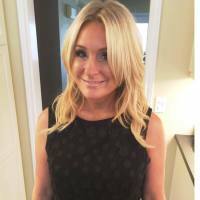 If you want flawless makeup, incredible energy, and a fabulous time getting ready... talk to this gal! She gave me such a perfect day and a comfortable, durable and stylish look. My bridesmaids were also beyond thrilled! Not to mention she is incredible, easy going, flexible and so very talented! Wouldn't have changed a thing. Anna has always enhanced people's natural beauty, leaving you feeling confident and flawless for any occasion. She's not scared of pushing beauty and make up boundaries. While listening to what your comfort zone is or end vision. I will always go to Anna for any of my make up needs. 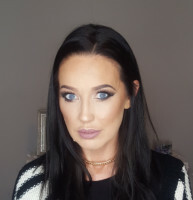 I booked a makeup lesson with Anna and was thrilled with her teaching style. I learned new techniques and she created a fun learning environment! Highly recommend her for makeup applications and lessons! 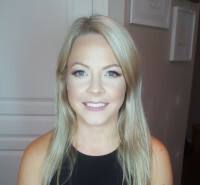 Not only is Anna great at makeup, she's super personable and down to earth. I got a ton of compliments on my makeup and everyone loved all the colours she picked. It lasted the entire night and I am so so happy with how it all turned out. 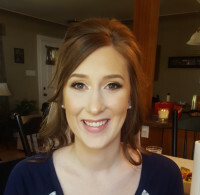 Anna did my makeup for my engagement shoot over the weekend and I absolutely loved it! She is incredibly talented and really listens to what you want. I highly recommend! !